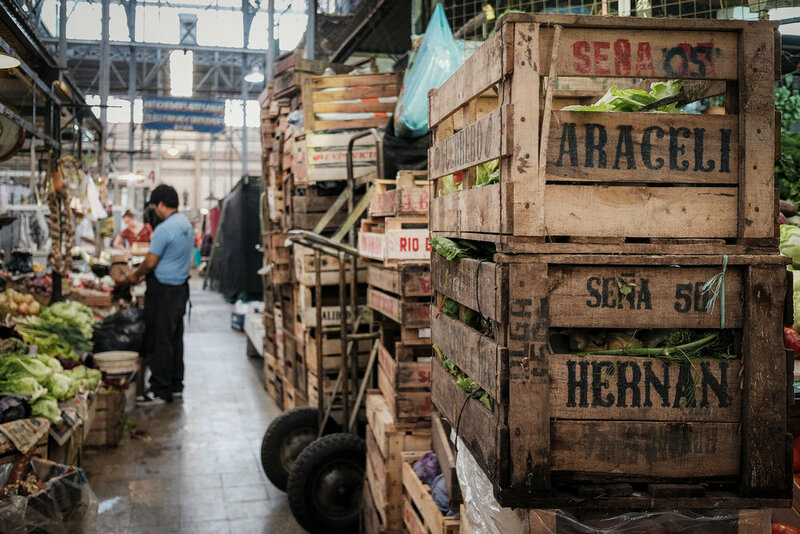 Buenos Aires was the last stop of our Patagonia trip. 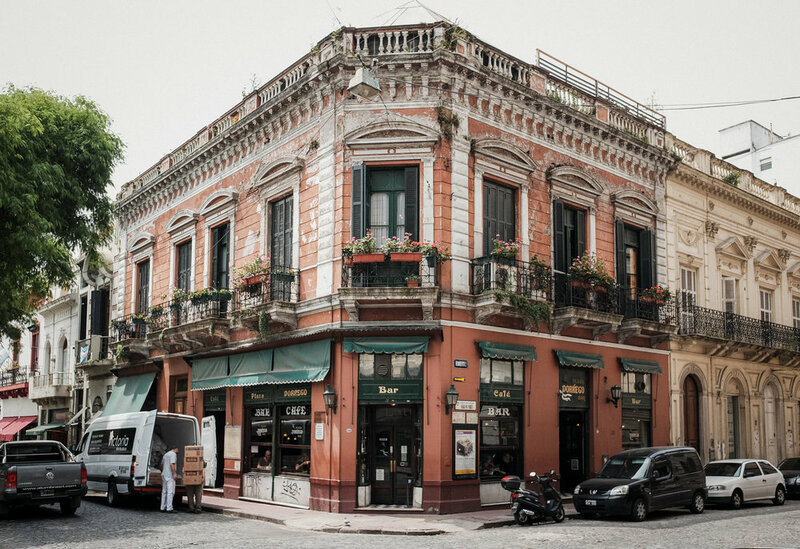 I have read about the San Telmo neighborhood there and preferred that over the newer and chic areas like Palermo. 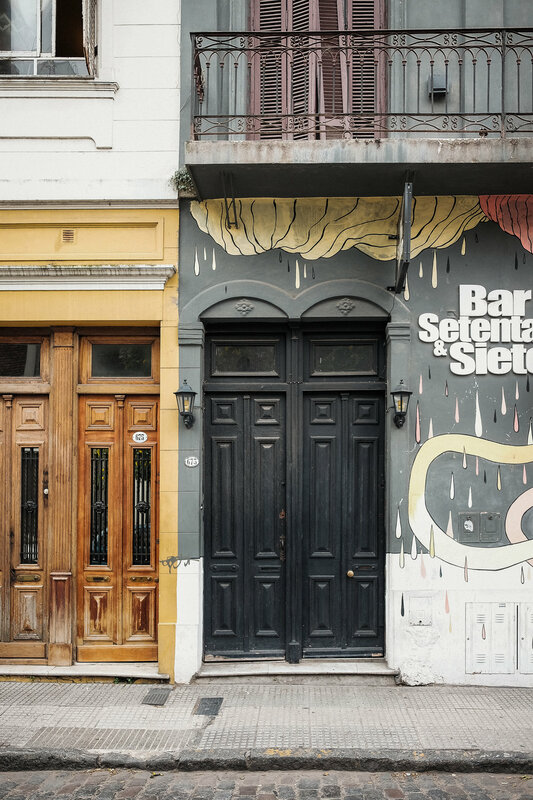 I found a boutique hotel in the heart of San Telmo, perfect for exploring the area nearby. Dan and I both loved the neighborhood, a little rough around the edges but brimming with history and old world charm. 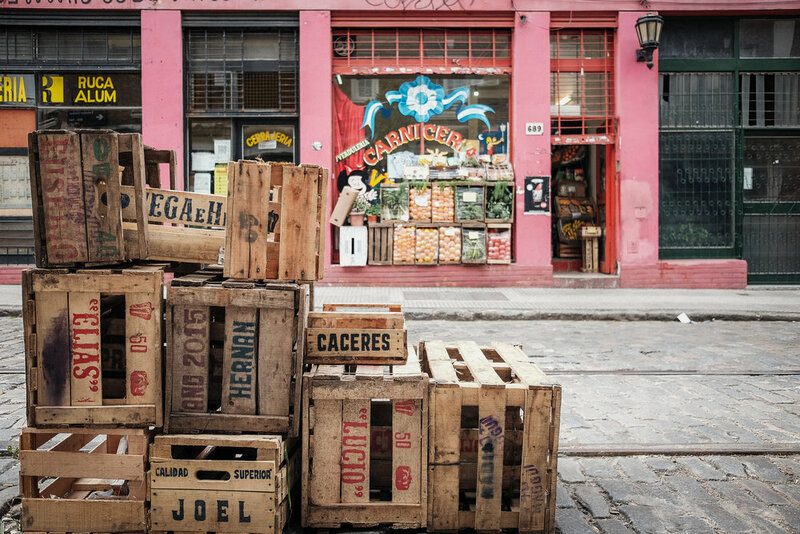 San Telmo is thought to be the birthplace of Tango. 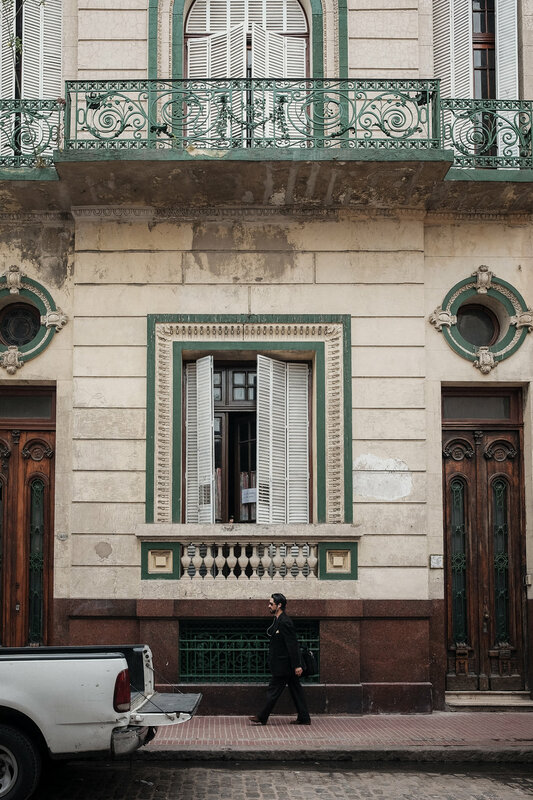 We dreaded joining another tour group in a crowded van to take us in a tourist trap so we skipped the Tango show offered by the hotel receptionist. It would have been probably fine or maybe even amazing (our tour bus paranoia followed us from El Calafate) but exploring the streets on our own was just as fun. Someday, we will be back for the Tango, Mendoza and El Chalten. not as a symbol of our essential insignificance. — entered my vain heart with the clarity of a tear. only because it has come from the depths of the soul. makes its way over the Golgothas of others. no como símbolo de nuestra esencial nadería. es porque viene de la hondura del alma. nuestro camina sobre Gólgotas ajenos.